The Barrique Chandelier by Daytona will bring glamour and elegance to your home interior. Designed for modern living, the Daytona range is inspired by 1930’s art deco style. 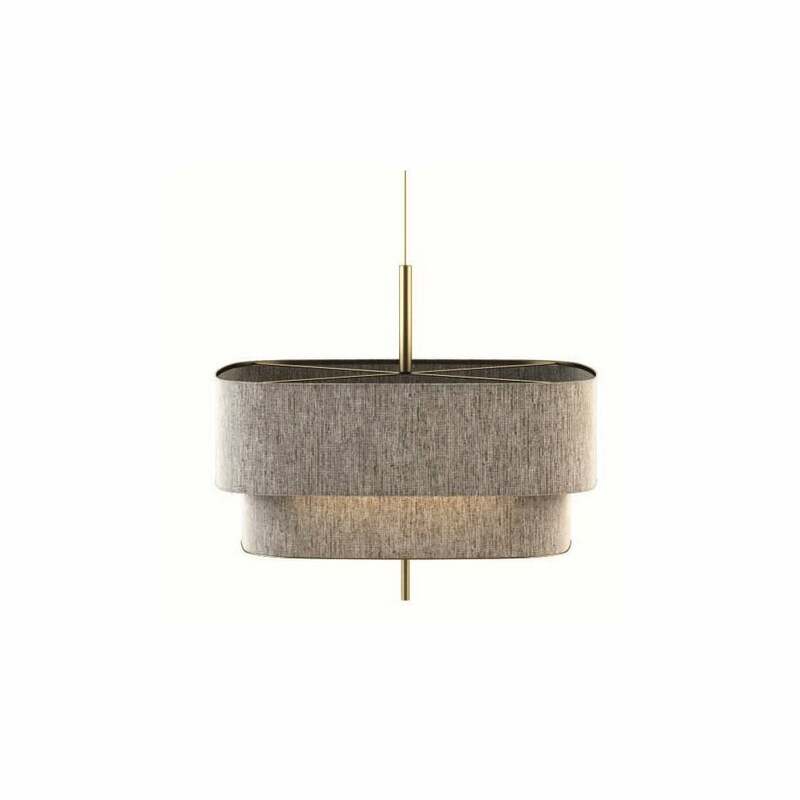 With a burnished brass structure and luxurious two-tiered shade, this Italian design is hand-crafted to the highest quality. Use within a subtle and elegant bedroom scheme to add a touch of sophistication. Style with warm tones of pale pink, buff and beige to contrast against the grey textured shade. Combine with the matching night lamp to create a cohesive scheme. Make an enquiry for more information.